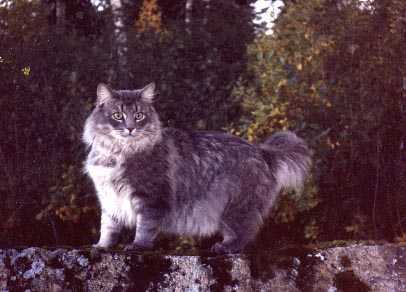 Norwegian Forest Cats born in 1986. 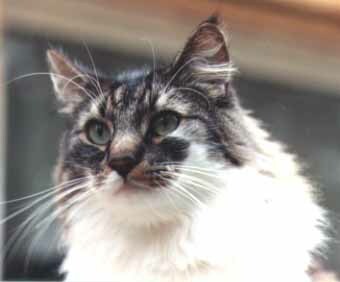 CH S*Atlanta's Casper, blue mackerel tabby male. 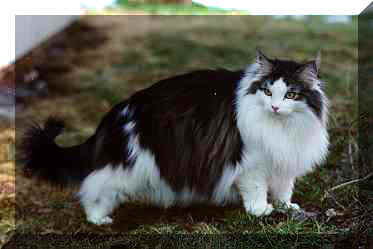 IC Iris av Aesene, black mackerel tabby & white female. 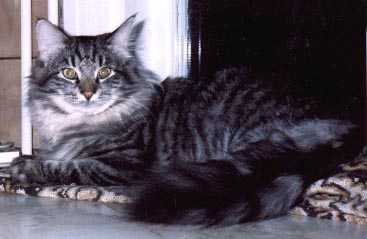 S*Janillas Berni, black silver mackerel tabby male. S*Lissekullans Ladon, black smoke male. 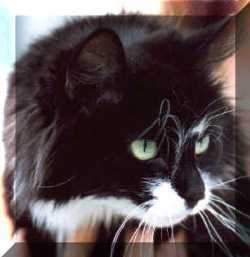 S*Porfyrgårdens Delilah, black & white female. 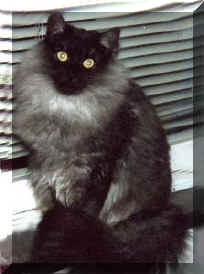 EC S*Scarecrows Screaming Jet, black blotched tabby male. 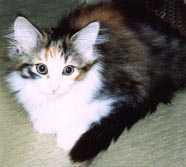 Schermans Natascha Trot, black tortie mackerel tabby & white female. 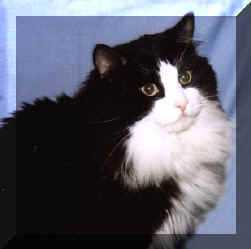 CH Tassemarkens Rimfaxe, black & white male. 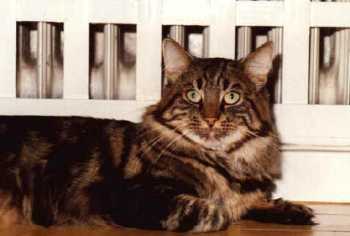 EP Torvmyra's Elliot, black mackerel tabby & white male. 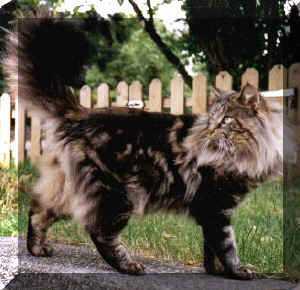 EC S*Ulvåsens Ferdinand, black blotched tabby male.